This weekend in Carson, California, a pair of elite fighters will face off at the StubHub Center. But since they fight below bantamweight, only the most serious fans will be paying attention. It’s a shame, because Juan Francisco Estrada and Carlos Cuadras are both arguably pound-for-pound, top-10 talents, or very close to it. Estrada has lost just twice in his career–an eight-round decision to Juan Carlos Sanchez back in 2011, that he later avenged by TKO, and to superstar Roman Gonzalez by unanimous decision in November 2012. For that fight, Estrada drained himself down to 108 pounds and showed obvious signs of fatigue from the weight cut. Even so, he did far better than Gonzalez than most opponents have done. I would love to see a rematch between the two at 115 pounds. After losing to Gonzalez, Estrada went back to 112 pounds and went on a tear. In 2013 he beat Brian Viloria to capture the WBO and WBA flyweight titles and followed that by handing Milan Melindo his first career loss in 30 professional bouts. He stopped veteran contender Richie Mepranum and hard-punching Giovani Segura in 2014. In 2015 he knocked out Hernan Marquez. Few fighters at any weight have defeated talent at this level over the past five years. 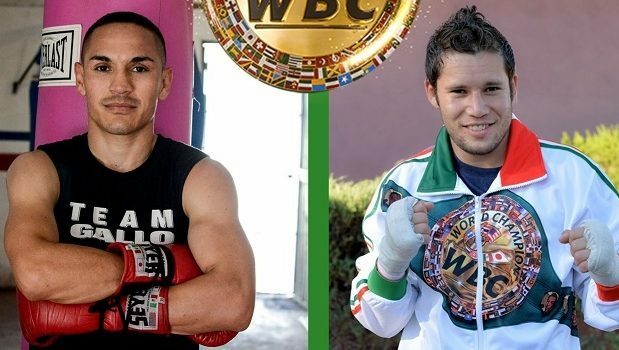 Cuadras will be his toughest opponent since Gonzalez. Cuadras took his only career loss against Gaonzalez in September 2016 and plenty of observers felt he should have won. I thought Gonzalez deserved his decision, but Cuadras was clearly in control in the second half of the fight and since he was the reigning belt holder, he definitely should have been given an immediate rematch. Gonzalez has of course lost since that near-miss against Cuadras, dropping a majority decision to Thailand’s Wisaksil Wangek last March. The two will rematch in September, also at the StubHub. The winners of these two fights need to face off. But nobody should overlook the Japanese phenom, Naoya Inoue, who will be fighting on the same card as Gonzalez and Wangek. Super flyweight is indeed a loaded division.